New data from this year’s National Equine Health Survey (NEHS) has shown that almost a third of horse owners are using the wrong wormer or one to which there is widespread resistance, when they treat their horse for encysted small redworm. While more than 77% of respondents to this year’s National Equine Health Survey intended to treat their horse for encysted small redworm, of the 89% of respondents who could remember what they used only 68% of these used an effective product. The remaining 32% used a product not indicated to treat for the encysted larval stages of these potentially lethal parasites or used a product for which there is widespread evidence of resistance. This year’s National Equine Health Survey showed that 68.4% of those who specified how they treated for encysted small redworm had correctly used moxidectin either as solo therapy or in combination with praziquantel (compared with 64% in 2015). 5.2% had used a 5-day course of Fenbendazole, a product which is licensed but for which resistance has been widely documented.2 However, of the remainder, 19% had used ivermectin (22.5% in 2015) and 7.5% had used other products, none of which are licensed or effective against ESRW. 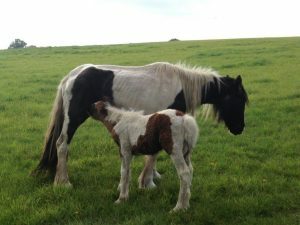 Piebald cob mare ‘Star’ was found abandoned and was rescued by Redwings in October 2015. She was just two and a half years old with a young foal at foot. The mare was very emaciated and her foal was malnourished due to his mother’s struggle to sustain herself and him. 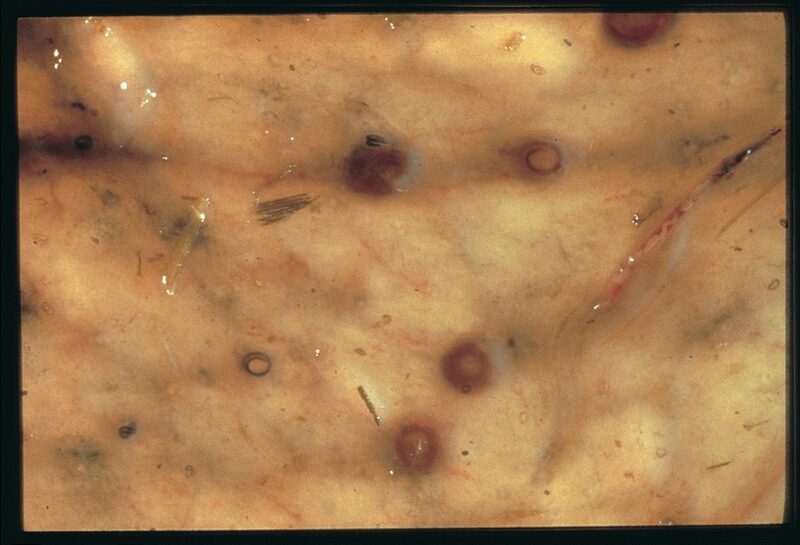 Investigations revealed Star was suffering from a severe burden of encysted small redworm. She was treated with anthelmintics and intensive supportive therapy for the associated damage to her gut, including a transfusion of three bags of synthetic blood plasma to correct a critically low blood protein level. Despite this treatment and Redwings’ veterinary teams’ persistent efforts to save Star, she continued to become increasingly unwell; she became dull and depressed with a raised body temperature and low-level white blood cell count. Sadly the extent of the damage to her digestive system as a result of encysted small redworm was so severe that, less than a week after her rescue, the difficult decision was made to put Star to sleep. Her foal, named Rocket, has survived and is doing well. 1.NEHS The National Equine Health Survey, conducted by the Blue Cross and supported by Zoetis, was completed by 5635 horse owners and keepers in May 2016, with records returned for 16,751 horses. The survey contained questions on general horse health, care and management and was validated by Professor Josh Slater of the Royal Veterinary College.